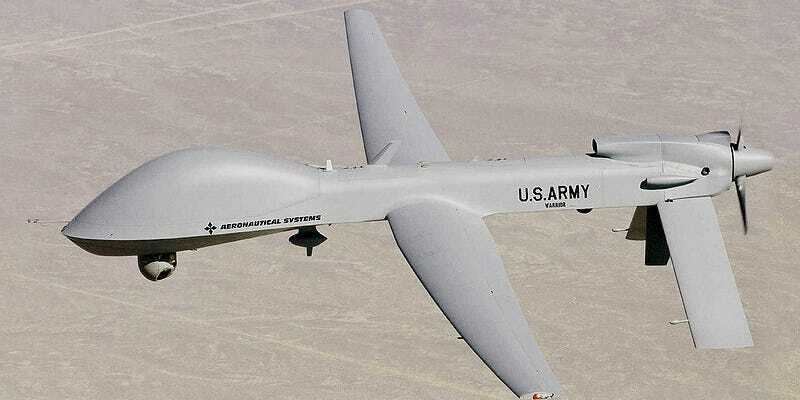 It's no secret that the US military is in L-O-V-E, love with its unmanned aerial fleet. The infatuation has reached fever pitch, in fact, now that the Army has begun construction of a brand new airport in central Texas that will only be accessible to its two favorite flying drones. The military has made it clear that UAVs are the future of aerial reconnaissance—as well as in a growing number of cases, aerial combat—and that they'll eventually be operating in the same airspace as conventionally piloted aircraft. Two of these unmanned platforms have already become so ubiquitous—the Grey Eagle and Shadow UAS—that the US Army CoE has contracted SGS systems to build a 150 acre airport at Fort Bliss, Texas, just for them. The complex will include a 50,000-square-foot unmanned aircraft maintenance hangar and more than a mile of runways, aprons, and taxiways, according to an announcement from the company. The runways will include a 5,000-foot runway for the Grey Eagle and a 1,000-foot runway for the smaller Shadow. In addition to maintenance shops, administrative space and storage space in the hangar, the facilities also will have a 5-ton bridge crane, oil/water separator, aircraft container and forklift storage, taxiway, access apron, oil and hazardous waste storage buildings, vehicle storage facilities, organizational vehicle parking, and overhead protection/canopy.